As a follow up to the Emmy Award-winning documentary Cincinnati Parks: Emeralds in the Crown, CET gives you a closer look at two of Cincinnati's most beloved parks, Ault and Eden, in two half-hour documentaries. In Eden Park: Cincinnati's Garden of Eden, viewers are given a look back at the rich history of Eden Park, dating back to the 1850's when the park was designated for the city’s water supply. The program explores how Eden Park has transformed over the years, offering an intimate look at the architecture, landscape and public art that makes the park special. The documentary also reflects on individuals who helped create the Eden Park as we know it today, including the original land owner Nicholas Longworth and landscape architect Adolph Strauch. 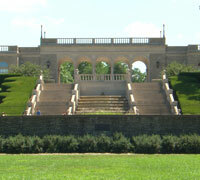 Modern day uses of the park are explored, as well as the ''green'' initiatives that the Cincinnati Park Board has implemented to bring Eden Park into the 21st Century. Eden Park: Cincinnati's Garden of Eden An exploration of the history of Cincinnati's Eden Park. 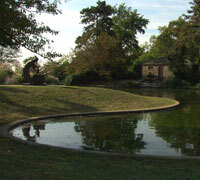 In a second half-hour documentary, CET takes you through the history of Ault Park. The park was donated to Cincinnati by Levi Addison Ault, who also led the first Board of Park Commissioners and developed a plan for a city-wide park system. Like Eden Park, grand architecture, breathtaking landscape and community events draw Cincinnatians to visit. The history and architecture of the park’s iconic pavilion is explored, as well as monuments and other pieces of public art. Ault Park: Emerald in the Crown CET takes you through the history of Ault Park. For more information on the Cincinnati Parks, visit the Cincinnati Parks website.